The exhibition will be open to all members of the community and there will be a drop box for comments. The junction from Morangie Road to the A9 will be closed for two days from Monday (17th October). The official diversion is via Manse Street and Moss Road. However the Community Council consider this to be unsafe due to the narrow parts of the route and blind corners and would ask drivers to use one of the other exits to the A9 if possible. At the 28th March 2016 meeting, the Community Council considered three application for funding from the Bheinn Tharsuinn Community Wind Farm Fund. In light of the very limited funds available to us from that funding stream it was resolved, henceforth, any grant aid would be considered only for projects demonstrating wider community benefit and can not, for now, be allocated to the likes of relatively limited interest groups for individual projects. We sincerely wish this were not the case and sympathise with groups striving to generate much needed funds. We remain committed to supporting local groups in other ways and will always appreciate the valuable work done within the community. However, the financial assistance is simply not there from traditional sources such as the Tain Common Good Fund for the forseeable future. We wish this were not the case but it is a matter quite beyond our control. From 1st April the fine for dog owners who fail to pick up after their dog will rise from £40 to £80, bringing it into line with the fine for other types of littering - cigarette butts, chewing gum and general litter. The change comes after the overwhelming majority of responses to a Scottish Government consultation on responsible dog ownership said they would support the fixed penalty being raised. As well as the fixed penalty, the Scottish Government is also considering how to develop a more robust system of enforcement. Derek Robertson, Chief Executive of Keep Scotland Beautiful said: "We welcome the doubling of the fixed penalty notice for dog fouling, a measure supported by 63% of people asked in a YouGov Poll commissioned by Keep Scotland Beautiful in August 2015. "Increasing the fine to £80 is a positive step in the right direction and will send a clear message to irresponsible dog owners that their actions have a negative impact on people and communities. However, increased fines form only part of the solution and that is why we are leading a national stakeholder group to develop an action plan on the issue." Chair of The Highland Council's Community Services Committee, Councillor Allan Henderson, added: "Dog mess is not only unpleasant but also presents a health risk, particularly to children. The increased fine will hopefully impress upon the small minority of dog owners who do not pick up after their dog has fouled the seriousness of the offence, along with other littering including fag ends and chewing gum." "Dog owners should never take their pets out without a supply of plastic bags as not having one is no excuse under the law. Bags should always be placed in a public litter bin or, if none is available taken home for disposal." It's not just dirty shoes! There has been an increase in the number of complaints about dog fouling around the town and surrounding areas. Why should you clean up? Of course there is the problem of dirty shoes. When someone steps in dog poo it is messy, smelly and unplesant to clean off, but the main problem is not with these unplesant side effects but with the bugs carried in the poo! There are a number of diseases carried by roundworms, hookworms and bacteria in dog poo. One of these roundworm caused diseases, toxocariasis is often passed on to children and can have serious consequences (see NHS Choices for details). So please clean up after your dog to protect others, and don't forget to wash or sterilise your hands thoroughly to protect yourself. 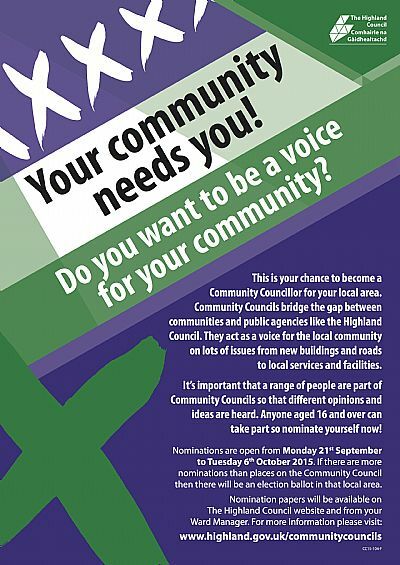 Community Council Elections take place on 18th November but nominations must be in by Tuesday 6th October. You can download a nomination form from the HC website and return it to the Service Point by 4:00pm on 6th October. 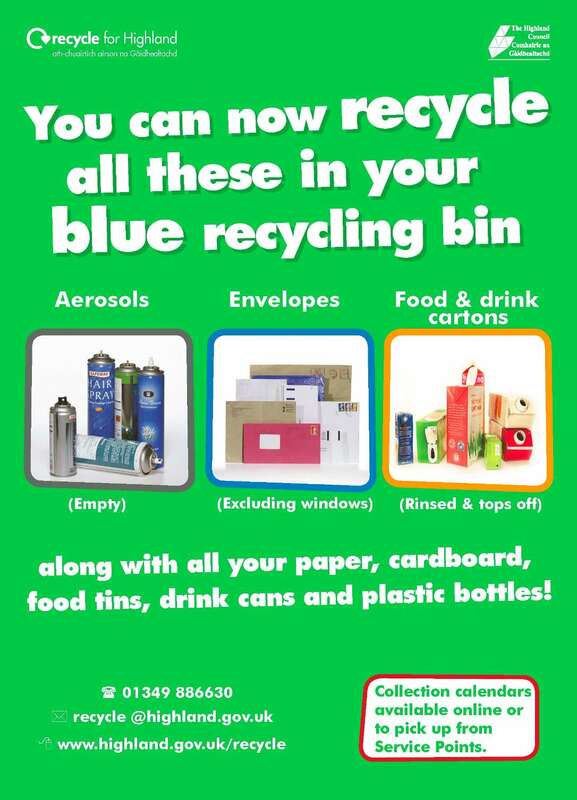 From this week you can put additional items in your blue bin: aerosols, envelopes and cardbord food and drink packaging. 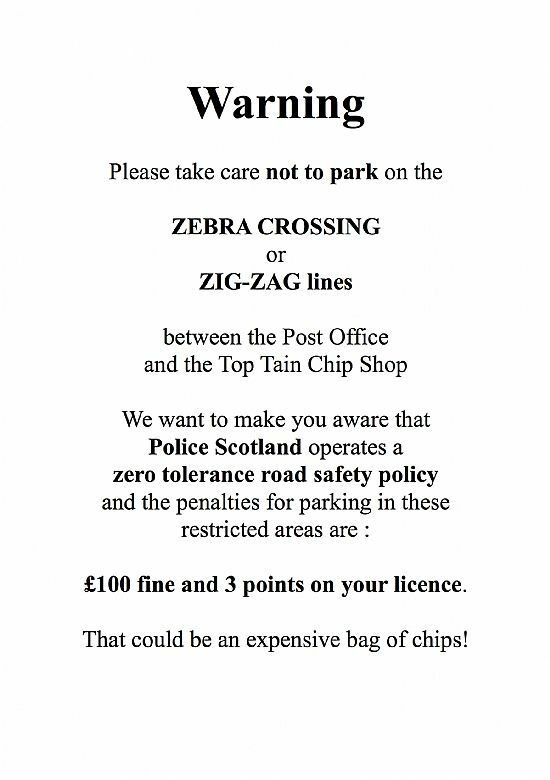 Details on the Highland Council leaflet. A number of people locally have received calls from 0019899614986 or very similar numbers. They claim to be from Microsoft and have detected that your computer is infectered with a virus. They will talk you through a proceedure to remover the virus but which in fact instals remote access software that will allow them to access passwords, bank details, credit cards etc. Regretably this group have a reputetion for foul-mouthed abuse when you politely tell them to go away. 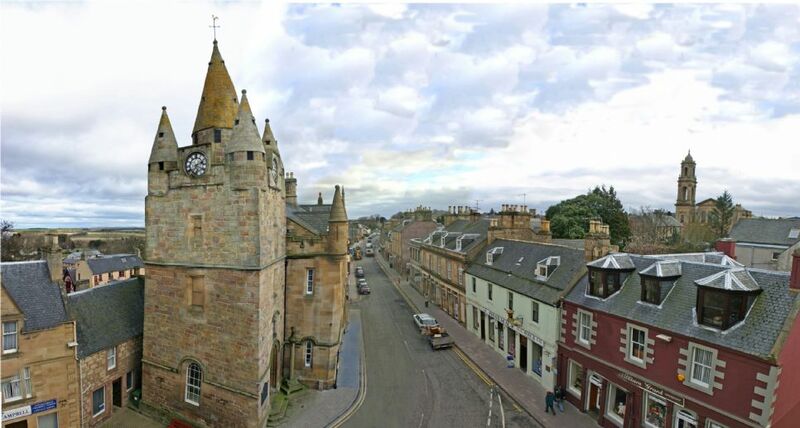 Please report to the police – 101 and ask for Tain Police Station. The Highland Council is leading research on sustainable heating options for the Tain Community as part of a Scottish Government funded study. The first option considered uses local renewable energy to provide district heating while the other option explores the opportunity to extend the natural gas network. If the new heating options are progressed, homes in Tain could get the opportunity to benefit from more affordable heating for their home. The study group wishes to meet with the Tain community to outline both options and gather your opinion. The Engineering Consultancy, Mabbett, will deliver a short presentation on the study. Council representatives along with those involved in the research will be available to gather your opinions, provide any particular information and answer any questions. ï‚· District Heating: What is it? How does it work? ï‚· Gas or District Heating. Which option is best? ï‚· What could it mean for your heating bills? ï‚· How might this benefit the Tain area and community? 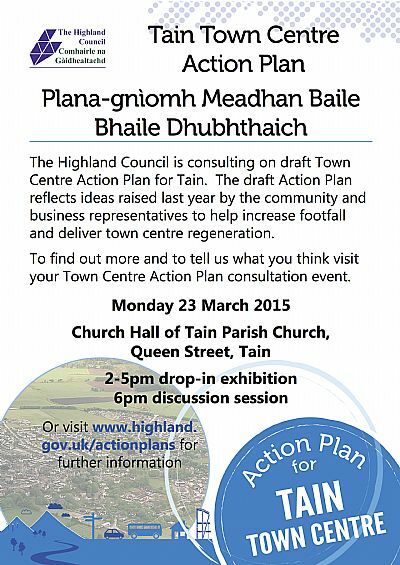 Come along to find out more and give your view on which option is best for Tain. If you can display a poster about this meeting it is here as a PDF file. There is also a survey form which can be completed and sent inm or completed on-line through Survey Monkey using the same link. Please put in comments about this scheme before the meeting on the 13th May. Lunchtime 19th March Thursday – Sean Batty, STV's weather man, in his tv report confirmed just now that Tain was the best place to view the solar eclipse tomorrow! Please remember – you should never look directly at the sun and must never look at the sun through binoculars or a telescope, you could suffer permanent eye damage. If you are looking at the eclipse project an image with binoculars or use eclipse glasses. For further information on eclipse safety have a look at the BBC website.